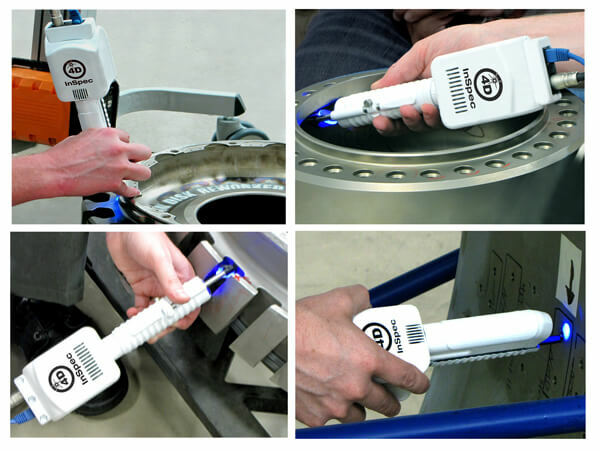 The new 4D InSpec® Surface Gauge was developed to address the problem of measuring defects on large and complex components in a shop floor environment. The gauge uses a patented optical design that enables non-contact measurement of features from 0.1 to 100 mils deep or tall. Acquisition time is measured in milliseconds, making the gauge immune to vibration and therefore capable of handheld operation. The 4D InSpec’s unique design allows inspectors to measure defects in corners, on radii, under flanges, and across large surfaces—effectively making surface replication a thing of the past. A fold mirror attachment allows measurements in extremely narrow areas or inside of bores, where even surface replication would prove difficult. 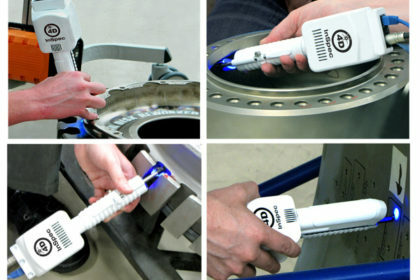 4D InSpec measuring difficult-to-access areas of an aircraft engine fan disk and casing. 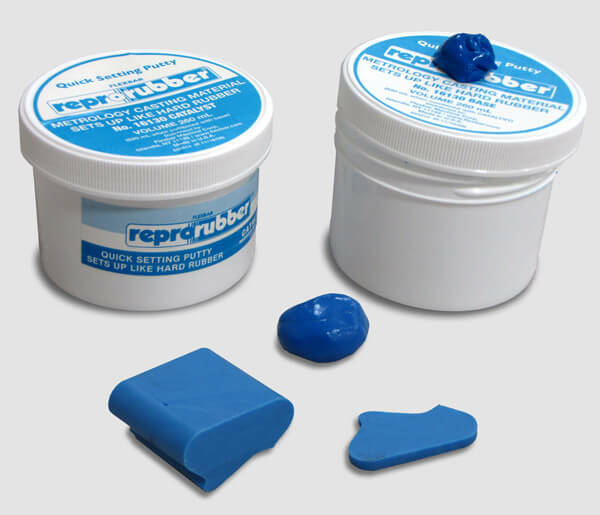 By eliminating the need for surface replication measurement time is reduced from over an hour to less than a minute. Images courtesy StandardAero.